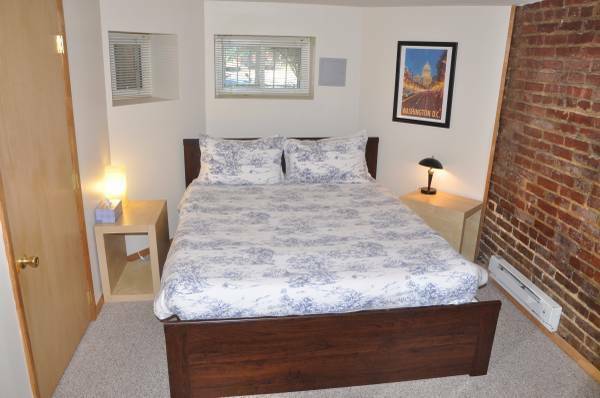 $1545 per month including utilities, unfurnished, one bedroom English basement in the heart of Columbia Heights, available for occupancy ASAP. In a great part of the neighborhood, the house is located near the nightlife and necessities, and has easy access to the metros, bus lines, bike shares, and Zip Cars. TRANSPORTATION: 5-min walk from Columbia Heights metro. Directly between the 14th St and 16th St Buses. There are Zip Cars a half block away and a bike share 1 block away. Within 5-min walking distance are all the bars and restaurants you could want: The Coupe, Meridian Pint, Wonderland, Bad Saint, Red Rocks pizza, Room 11, Maple, and El Chucho. UTILITIES: The rent includes utilities.